The bespoke funeral is our most popular and comprehensive funeral, which includes additional overheads and services not included in the simple funeral. This funeral is particularly suitable for families who require a high quality bespoke funeral, with no limitations of service. 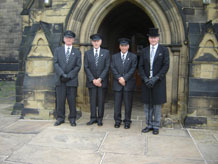 Our Professional attention in making funeral arrangements, including all time engaged, specialist facilities and equipment, chapel of rest, care of deceased, administration, conducting the funeral, provision of the necessary personnel and general business overheads. Supply of a quality veneered wood coffin, lined and fitted with engraved name plate, electro handles, embellishments, quality dressing robe and pillow. 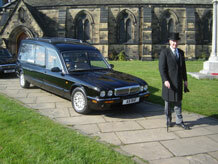 The select funeral includes a superior veneered wood coffin and provision of a hearse and two following limousines. 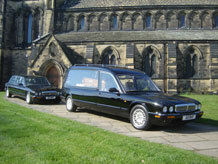 Local removal of the deceased into our care between 10.00 am and 4.00 pm. Supply of a superior quality veneered wood coffin, lined and fitted with engraved name plate, electro handles, embellishments, quality dressing robe and pillow. 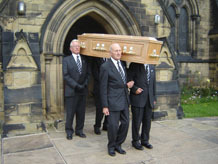 The burial funeral includes a high quality solid wood coffin and church service. Supply of the finest quality solid wood coffin, panelled sides, double raised lid, lined and fitted with engraved name plate, metal handles, embellishments, quality dressing robe and pillow. Prices do not include out of hours callouts, weekends, bank holidays or preparation and hygienic preservation of the deceased, which may be required for viewing of the deceased, delays of more than seven days or health and hygiene reasons. 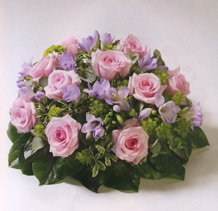 Third party fees do not form any part of the funeral director's services. Fees payable to third parties are out of our direct control. Any fees payable to third parties will be added to the funeral expenses and paid out on your behalf.